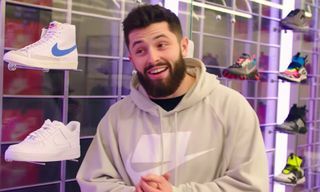 With his hit single “Thotiana” still climbing up the Billboard charts, Blueface recently met up with Joe La Puma of Complex to appear on the latest episode of Sneaker Shopping. 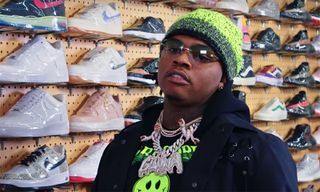 While at Flight Club in Los Angeles, the 22-year-old rapper discussed playing football in high school, his affinity for blue sneakers, and doing meet-and-greets at Foot Locker prior to gaining a bit of fame. 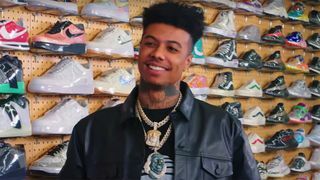 Blueface begins the episode by dishing on his appreciation for West Coast footwear and being into Huaraches, Air Force 1s and Cortezes. From there, he reveals that while he likes picking up new sneakers and cars, he’s more into jewelry at the moment. 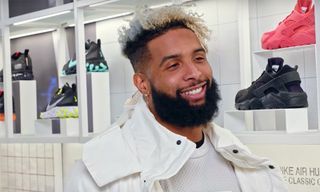 A standout athlete in high school, the LA musician also touches on his football glory days, prior to talking about the importance of connecting with the youth and his mission to go viral. Press play above to hear from the up-and-coming Blueface, as well as to find out what sneakers he’s currently feeling. 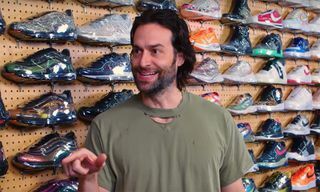 Watch the video below for even a deeper dive into sneakers.